The Sudanese Professionals Association (SPA), which has been the main organiser of the 3-month popular uprising in Sudan, has rejected the attempt by the military high command to seize power for a “transitional period”. Dictator Omar el Bashir’s rule came to a formal end on 11 April after the Minister of Defence, Awad Ibn Awf announced that he had been removed from power and arrested. The SPA, which represents a wide range of professions, including doctors, teachers and journalists, called on protesters camped outside the Ministry of Defence to stay in the streets. The same message was repeated by the signatories to the Declaration of Freedom and Change, a set of demands adopted by a wide range of groups opposed to Bashir’s dictatorship in January 2019. The declaration calls for an end to Sudan’s civil wars, justice for those displaced, the dismantling of the one-party regime, empowerment of Sudanese women and more state funding for health, education and the environment. We, in the Forces of the Declaration of Freedom and Change, categorically reject what was declared in the statement of the regime’s internal coup d’etat forces, and we invite our resilient and resourceful people to continue the revolution, through holding their sit-in positions at the Army Forces HQs in Khartoum and other main SAF posts in the provinces of Sudan, and to remain on the streets in all the towns of Sudan. We shall stand our ground on the public squares and roads that we have liberated with our might, continuing with the popular struggle until state power is reinstated to a civilian transitional government that represents the forces of the revolution. That is our clear and irrevocable stance: the streets never betray, and we shall meet there. 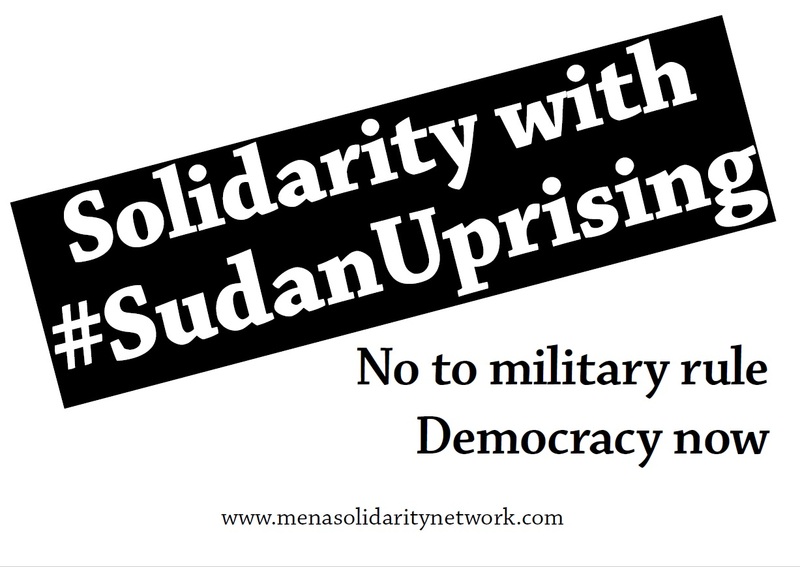 Pass a resolution supporting the call by Sudanese protesters for real democracy, not military rule in your trade union branch.